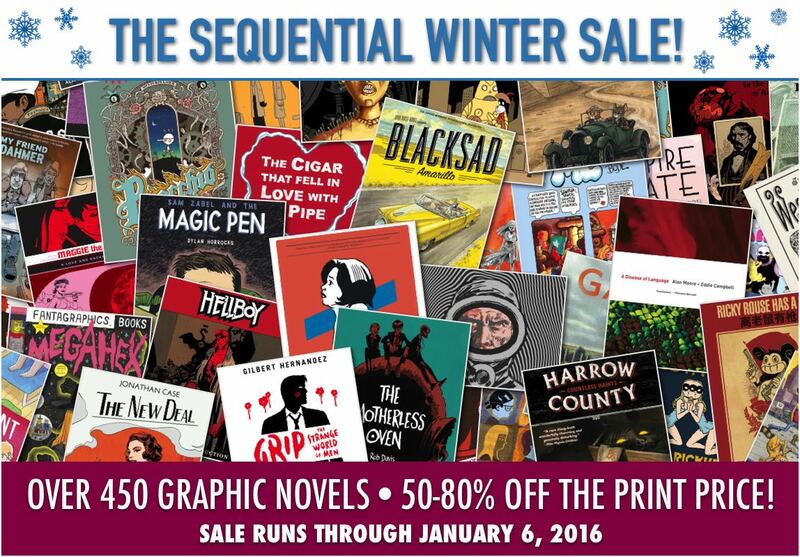 Digital Graphic Novels & Comics: SEQUENTIAL: The SEQUENTIAL Winter Sale! BIGGEST INDIE GRAPHIC NOVEL SALE EVER! Happy holidays from SEQUENTIAL! To celebrate the festive season we're hosting the biggest indie digital graphic novel sale EVER! There are over 450 graphic novels to choose from, with titles from Fantagraphics, Dark Horse, Knockabout, SelfMadeHero, Abrams, NBM, Knockabout and many more. All the titles are a massive 50-80% off the print price – but the sale ends on January 6th, 2016, so be quick! P.S. Don't forget, the stunning version 2.0 of SEQUENTIAL is now available, get it now or, if you already love it, please give us a review! SEQUENTIAL • Hasebe 12 Building, 2F, Hiroo 5-23-4, Shibuya-ku, Tokyo 150-0012. Simple theme. Powered by Blogger.